Hedge funds, meanwhile, are also dumping Monsanto stock, most likely due to sharply increased “negative sentiment.” This means people increasingly don’t like Monsanto, and that’s a direct result of all the growing realizations about the dangers of GMOs, Monsanto’s predatory business practices, the company’s dangerous experiments that have already unleashed genetic pollution, and the fact that GM corn has been experimentally found to cause widespread cancer tumors in rat studies. Just the fact that Monsanto’s GE wheat trials got out of control and contaminated a wheat field in Oregon — causing Japan and South Korea to ban U.S. wheat imports — has resulted in 150 groups now demanding the USDA keep a tighter lid on Monsanto’s GMO experiments. 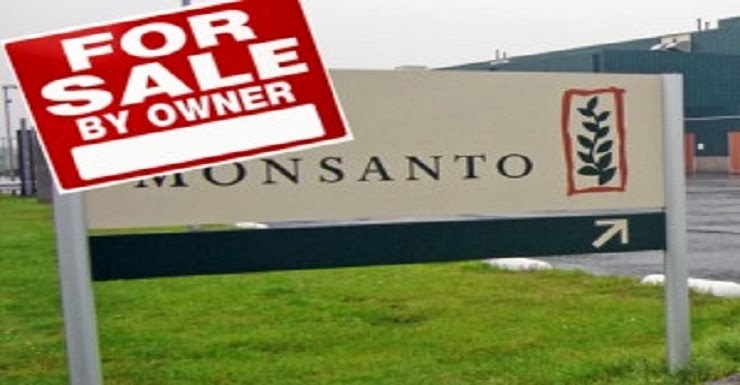 The report goes on to say: At the top of the heap, Jeffrey Vinik’s Vinik Asset Management said goodbye to the largest stake of the 450+ funds we monitor, totaling close to $100.8 million in [Monsanto] stock. Sean Cullinan’s fund, Point State Capital, also dropped its [Monsanto] stock, about $54.7 million worth. Blue Ridge Capital also owns over $320 million in Monsanto stock and should be immediately abandoned by all investors. So far this year, Monsanto (MON) share prices have plummeted from a high of $109 to a current trading range around $95. That’s a drop of nearly 13%, and the bad news for Monsanto just keeps coming. 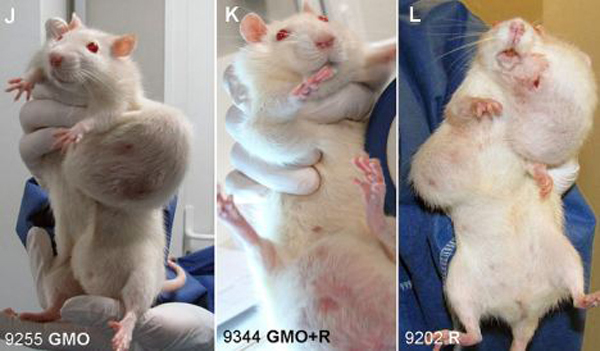 For one, the European Union’s new food safety guidelines affirm the methodology and findings of the Seralini GM corn rat study. As much as the biotech industry and all its pimped-out science trolls have attempted to attack the study, the secret is already out: GM corn causes cancer tumors and consumers accurately see GM corn as equivalent to a “poison” symbol on foods. The future for sales of Monsanto’s GM corn look especially bleak due to the simple fact that GMO labeling is now inevitable. The consumer push to know what’s in our food is unstoppable, no matter how much lobbying Monsanto conducts in a desperate effort to keep consumers ignorant about what they’re eating. Whole Foods, of course, has already announced mandatory GMO labeling on everything it sells by 2018. I believe Wal-Mart and other retailers are also considering a similar move, or they’ll lose market share to Whole Foods. At the same time, major food manufacturers are realizing they must either get the GMOs out of their products or face a massive consumer backlash. As a result, there is currently a mad rush by food companies to get their products certified by the Non-GMO Project. Across the board, products that achieve Non-GMO Project Verified status experience an almost immediate 30% increase in sales nationwide. Do the math: companies that use Monsanto’s GM corn are punished and boycotted in the marketplace. Companies that use non-GMO corn experience huge increases in sales. In food company corporate boardrooms all across America, this is a no-brainer: dump GMOs if you want to survive. The same is also true for hedge funds and mutual funds: the more they invest in Monsanto, the more they stand to lose from the global outrage against Monsanto, GMOs and GM corn in particular. Plus, I also happen to believe there will come a day when many of the top Monsanto executives will be arrested and prosecuted for their role in carrying out crimes against humanity (not just from GMOs but also from glyphosate). When that day comes, Monsanto share prices will obviously fall through the floor. The company may, in fact, implode like a dot-com bubble, leaving investors holding worthless paper instead of valuable shares… a kind of poetic justice for all those who furthered the means of such a destructive entity in the first place. If you own any of these mutual funds, sell them now and invest somewhere else. Become an “activist investor” and put your money in companies that create a better world, not companies that destroy their world for their own selfish greed. See a more detailed list at morningstar.com. Monsanto is at war with humanity and the planet, but humanity will achieve victory against this evil corporate force of death and destruction. It is already happening in the marketplace and across the minds and hearts of millions of activists in stand in solidarity against corporate evil. So spread the word about not just avoiding GMOs but also avoiding owning Monsanto stock in any form. If you have money invested in a mutual fund or hedge fund that owns Monsanto, sell the fund! Don’t let anyone use your money to further the profits of the biotech industry. Invest your money in something that helps humanity, not harms it. Which Countries Have Banned GMO Crops?